As marijuana becomes more prevalent, for both recreational and medicinal use, across the United States, the conversation of legality is also raised. In that space, the question of CBD legality proves a bit tricky; since CBD does not produce a psychoactive effect, what’s the harm? Is CBD legal? We’re here to break it down for you so you can stay safe and healthy. CBD History: How far have we come? CBD history stretches back a lot further than it may sometimes appear. Cannabis was one of the first plants to be used for medicine, dating back to more than 5000 years ago. At that time, cannabis was also used recreationally and in religious ceremonies. The specific cannabinoid structures of the cannabis plant were not discovered until much later. CBD was first identified in 1940 by a chemist named Roger Adams but, even then, the true reality of what he had discovered wasn’t realized. Years later, the chemist and fellow scientists recognized what Adams had done and began researching the product in more depth. Since then, tests have been done to determine CBD’s inability to alter the mental state and CBD’s 3-dimensional structure has been identified, among dozens of other tests such as how these cannabinoid receptors work within the brain and the ways in which CBD can benefit the body. CBD has recently seen a re-emergence, as medical marijuana is talked about now more than ever. Today, CBD is somewhat of a buzzword, in medical communities, marijuana communities and even in legal circles. The legality of all cannabis products have been both highly debated and constantly changing for over a decade in the United States. Both THC and CBD laws are evolving almost daily. All marijuana products are illegal in states that have not legalized them; Marijuana and THC are on a list of controlled substances that make them illegal under federal law. However, many states plus Washington D.C. have passed medical marijuana laws and/or have recreational laws in place. As more and more science surrounding CBD emerges, the government is taking notice. It is getting harder to ignore the positive science surrounding CBD cannabis products that grow every day. If your state didn’t make the cut above, it is likely it will soon! Stay tuned! If you live in one of the above states, there are plenty of ways you can conveniently buy cbd. Recreational states have established cannabis dispensaries that hold everything from herb to edibles. With a valid form of identification, simply find your closest dispensary and browse the options with the help of an employee. Recreational dispensary laws, in states that have legalized recreational cannabis, operate similarly to liquor laws around the country. If you’re not sure what you’re purchasing or want some help being pointed toward the best product for your mood and budget, a dispensary employee will help guide you in the right direction. Simply be candid and open to experimenting with something you’ve never tried before. CBD comes in such a large variety of products, only seasoned experts will know exactly what they need every time they go CBD hunting. Travel to a state where recreational CBD is legal. NOTE: Since cannabis is still illegal federally, you should not travel between legal and non-legal states with cannabis, even if it was purchased legally. Find out if your state supports legal medicinal CBD use; if yes, then start researching and getting approved to purchase medical marijuana. Finding CBD in a medical marijuana state is as easy as visiting a medical marijuana dispensary or possibly visiting smoke shops; since CBD is not psychoactive, often CBD is sold outside of dispensaries as well. It is important to remember that, while becoming more convenient to purchase every day, it is not advised that you abandon legal protocols – such as not buying for another individual or traveling between states cannabis – in any instance. Just as it is warned with alcohol, always use responsibly. The legal landscape of CBD is constantly changing as more and more research emerges regarding the positive impacts of the powerful cannabinoid. Today alone, we know CBD reduces the severity of or relieves completely symptoms of epilepsy, chronic pain, arthritis, multiple sclerosis, cancer treatment, post-traumatic stress disorder and more. Every day this list grows larger and offers more possibilities for medicine. With the studies consistently rolling in, legality surrounding the use of CBD continue to become more progressive. Because CBD has no psychoactive elements to it, lawmakers are more lenient on allowing CBD to enter the mass market than a THC cannabis product. Today, a handful of states allow both medicinal and recreational marijuana to be sold; chances are that number will continue to rise. 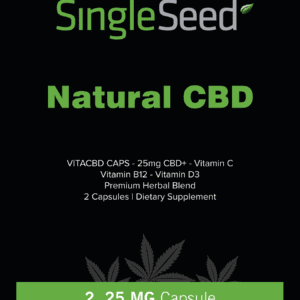 Singleseed is one of the world’s best and biggest legal CBD product distributors. With products ranging from topical to inhalable, the marketplace is largely full of products for active and healthy lifestyles. Think: CBD infused water, vitamins, and tinctures. Singleseed makes products you’re already using, only with an added boost of healthy, revitalizing CBD. 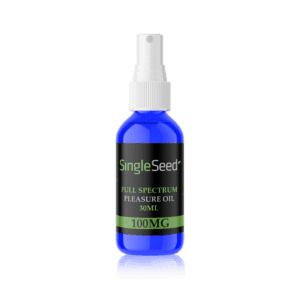 Singleseed answers “Is CBD legal?” and helps you find the best products, all in one. Your one-stop spot for CBD experts. See for yourself; check out all of the legal, high-quality products Singleseed makes.